Six Western Australians are in District 5300 for 3 weeks, as part of a Vocational Training Team, between District 5300 and District 9455. Each team member is associated with Path of Hope, a collaboration between Rotary and the Salvation Army, whose mission is to break the inter-generational cycle of family and domestic violence. This program is the brain-child of Monrovia Rotarian Herb Heslip, who endowed the cost of this exchange. Its beneficiaries are restricted to District 5300 and the Rotary districts of Australia. 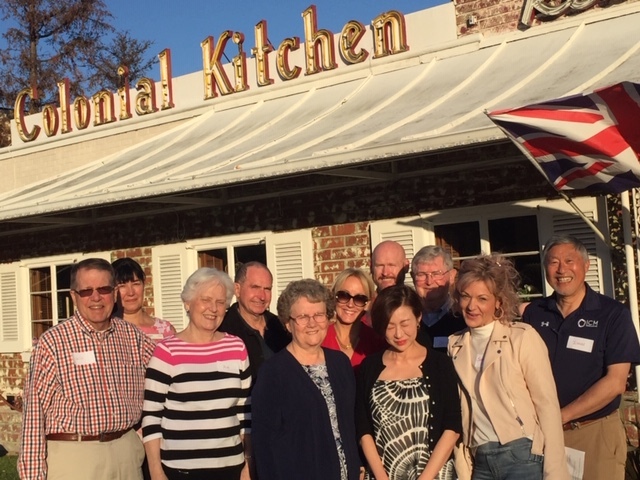 While Rotarians host VTT team members in the evening, during the day the team is split into two, and each visits various hospitals, Salvation Army Temples, and governmental agencies. Three in the group are Rotarians.